The Karate Masters Portrait Project began in March 2012. Its goal is to document karate and kobudo masters teaching in Okinawa at the start of the 21st Century. Their unparalleled knowledge of martial arts makes them of great cultural importance both in Japan and worldwide. Morio Higaonna, 10th dan Okinawa Goju-ryu karate. 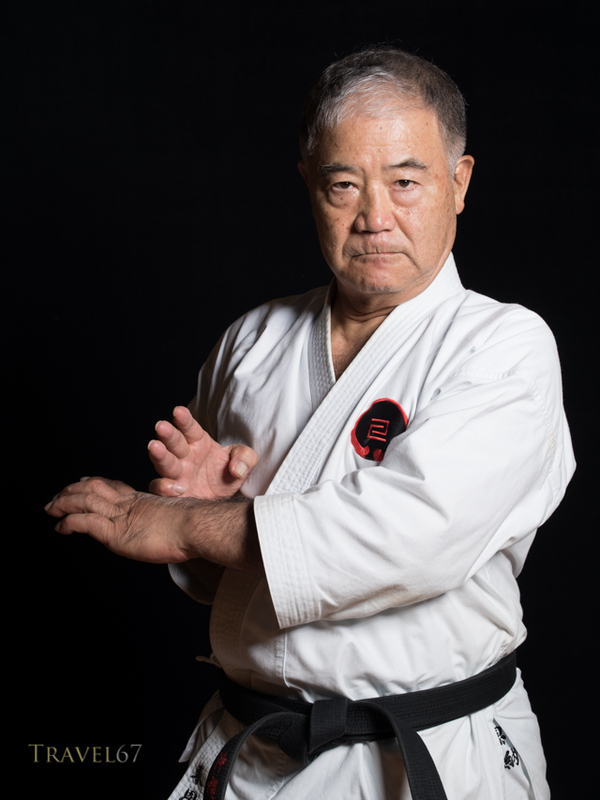 In 2012, James Pankiewicz, owner of the DOJO Bar in Naha, discussed with photographer Chris Willson how there were few, if any, good photos of certain karate masters. There was also little consistency in the images available. Many were blurry, low resolution, noisy, or simply snapped from a distance at a competition or demonstration. James and Chris began to take studio lighting, a black backdrop, and a high definition digital camera into the dojos of the karate masters. They hoped the portraits produced would become a historical record of the masters of Okinawan karate at the start of the 21st century. Pentax 645D & 645Z cameras with Pentax 90mm f/2.8 D FA 645 Macro. 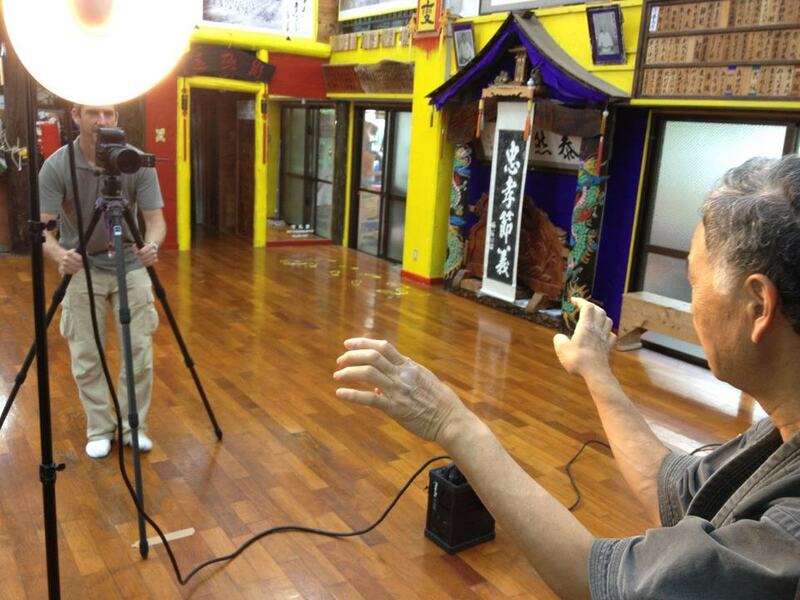 Shooting at the Hokama Dojo. 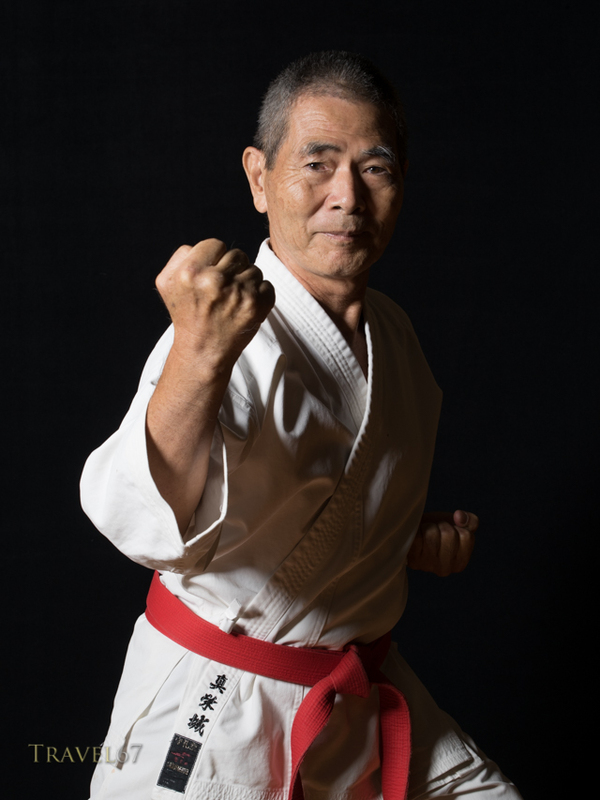 The order in which they photographed the karate masters was not based on age, style or rank, but rather on slowly building up connections within the Okinawan karate community. 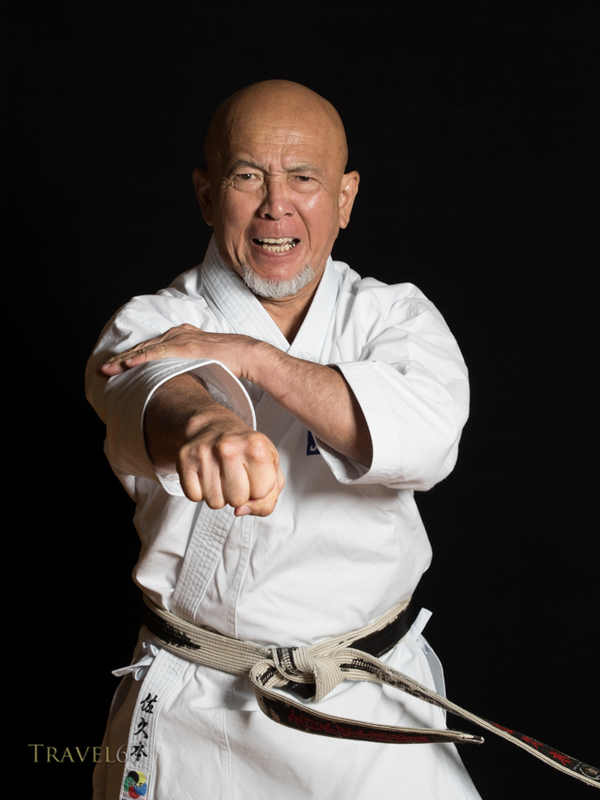 Images from the Karate Masters Portrait Project can be seen on the web at either Facebook or Flickr. However, Karate masters and their students around the world began to ask if we could produce a print book of the project. I decided to make the kind of book that I’d like to own myself. 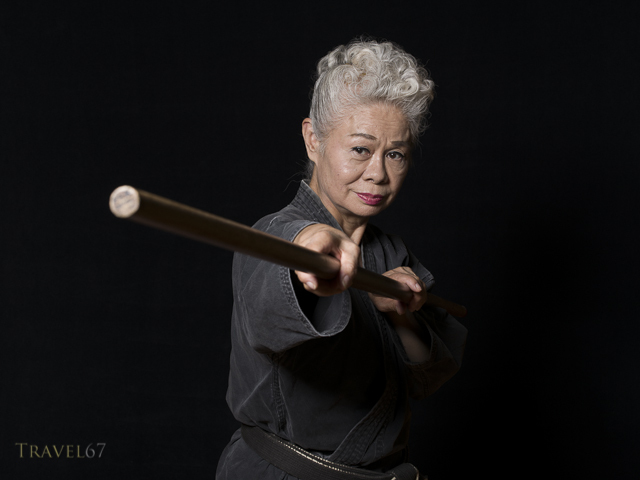 A large, high quality, coffee-table book with images of all 58 sensei that we’d photographed so far. It quickly became clear that traditional publishers would want orders of several thousand books. Book production would simply be too expensive to undertake, and too risky if I couldn’t sell all of books. It might have even compromised the future of the project as I would have had to concentrate on being a bookseller rather than a photographer. The solution was to use the U.S. print-on-demand publisher Blurb. I could create a large (11 inch x 13 inch) 122 page book and specify the use of high quality photo paper. Each of the 58 karate masters could have two pages of images along with their name, rank, and style in both English and Japanese. 2-page spread for Taira sensei. I ordered a single test copy, it was shipped from the States to Okinawa. The test copy was then placed at the Dojo Bar where the karate masters were able to view it. A second test copy with higher quality paper was also ordered. This arrived and the “premium lustre” paper along with charcoal proline endpapers was a good improvement. Meanwhile James and I began contacting all the karate masters to double check the information in English and Japanese, and let them know about the progress we were making with the book. After making the necessary changes to the text, I ordered another test copy. This arrived and a few more small changes were made along with the addition of a title page, copyright information etc. On November 29th the final version of the book was uploaded to Blurb, and it is now on sale! After receiving your order Blurb will print your copy and can mail it worldwide. We do have a stock of books on sale in Okinawa. Why are the books expensive? Mass produced books are cheap because they are made in bulk, hundreds of thousands of copies. Books that are produced in lower volumes are more expensive (the reason why some textbooks for university courses are hundreds of dollars). And high quality books that are produced on-demand, are even more expensive as they are printed individually. The following page-by-page video allows you to check the exact photos in the book before purchase. You can also see a brief preview on the blurb website. If a karate organization would like to gift a copy of the book to a particular master this is possible. We can order the copy, have it sent to Okinawa, sign it, and present it in person to the karate master from you. If you’d like to include a message with the book, then I can print out a message and place it inside the book. Please contact me at chris@travel67.com if this is something we can help you with. 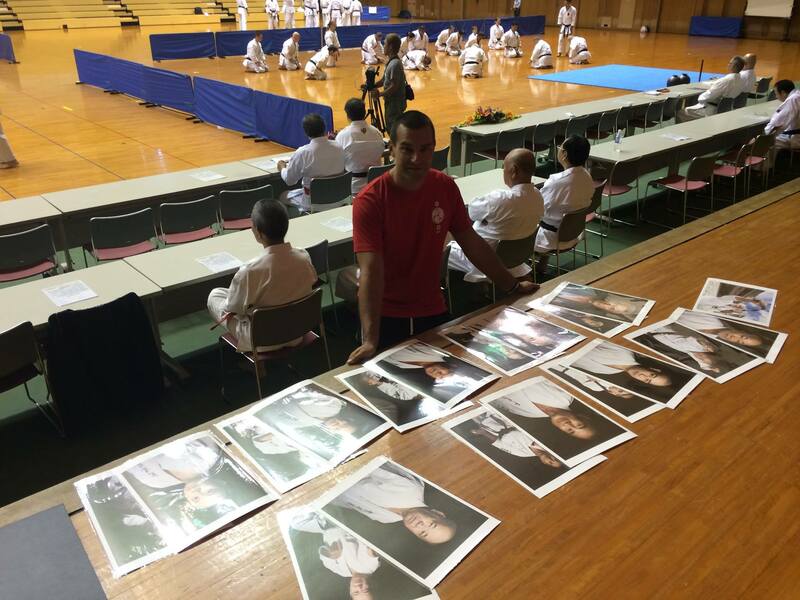 Each karate master photographed is given two prints for their own dojo as a thank you for taking part in the project. The pictures have been so gratefully received, and we’ve received many thanks from the karate masters and their families. Handing out fine art prints as gifts to instructors at Naha’s budokan. At the request of some overseas dojos, offer the full resolution digital files of a single image or the best shots of a particular shoot. Purchase of the digital files gives you permission to make prints for personal usage or for the promotion of an event by the karate master. ( You can’t sell the digital files on to others, or use the images for purposes other than prints for yourself or your dojo. If you have questions regarding this please email and ask.) As the images are shot with medium format digital cameras (40MP & 53MP) it is possible to make very large prints. 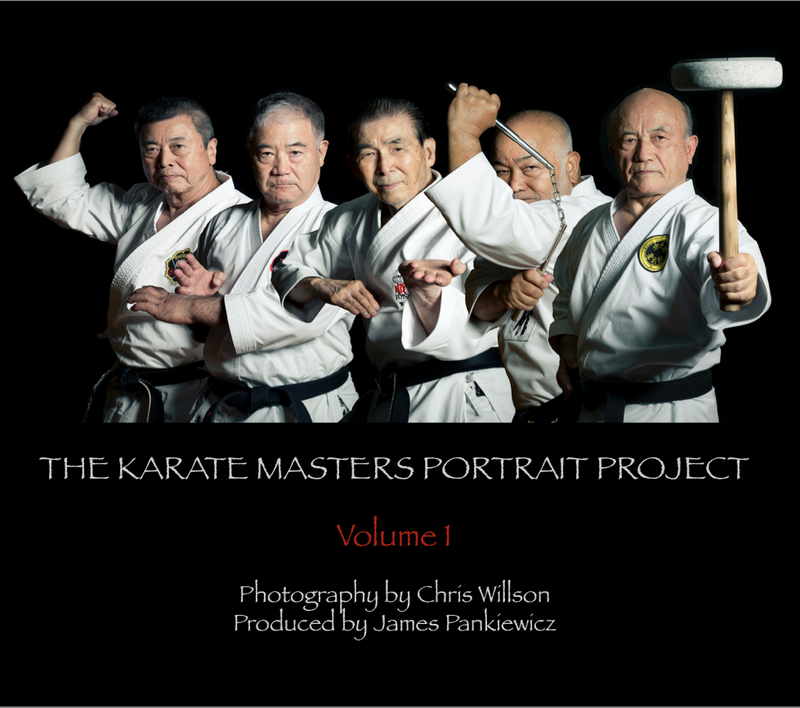 Purchasing a print or digital files, not only helps fund the Karate Masters Portriat Project, but also the Sensei: Masters of Okinawan Karate video series. The karate masters themselves are given the rights to use the images for free, as they have already generously given their time in agreeing to take part in the project. If you are a magazine or organization interested in licensing the images please contact me at chris@travel67.com with your questions. Permission to use an image for non-editorial purposes will not be given without the specific consent of the karate masters. How can I purchase this publication? It will be available through BLURB.com from mid November. We are currently in the process of showing test copies to the karate masters to get their feedback and to make final edits before it goes on sale. Congratulations from Brazil to those ones who have this greate ideia. Congratulations on this Fine work of Art. Superb Photos. Many of these Masters have never had such great quality Photos available or taken of them. This is History in the making. These Photos and books will stand out as a snapshot in time of Okinawa, Karate, Kobudo, and the general state of Martial Arts at this time. Thank You !